Have you ever been excited to meet someone, like a celebrity or someone you admire, and dreamed of taking the perfect picture so you could make it the background of every phone, tablet, and computer you own? 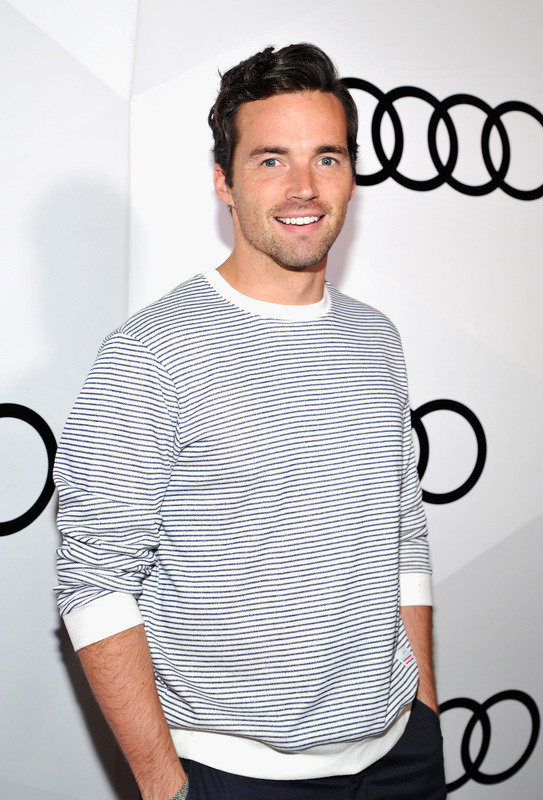 Well, when Pretty Little Liars' star Ian Harding met Hillary Clinton he obviously captured the moment, though it may not be with a photo he wants to remember. As you can see below, Harding and his fellow PLL co-star Huw Collins (Elliott Rollins/Archer Dunhill) stood on either side of the potential next president of the United States. However, unlike Collins who looks quite dashing, Harding's eyes are closed. What a bummer, right? There really is nothing more disappointing than taking an awful picture, especially when it's with someone important. I'm sure the actor who brought Ezra Fitz to life was super excited to meet the woman who could be officially announced as the next leader of our country Tuesday night. I can only imagine after taking the picture and viewing it on his phone how mad Harding was. At least he has something to remember the time he met Clinton with, though. He still totally has bragging rights, so it's all good. Let's face it, the photo is pretty priceless. Plus, the fact that Harding can make fun of himself makes it all that much better. "Nailed. It. #imwithher #nastywomenvote," is how the 30-year-old actor captioned it. You certainly did, Harding. Granted, it's still not the best thanks to Harding looking away from the camera, but at least his eyes are open this time. Overall, he should just count himself lucky that he now has two fantastic photos to frame and put next to his bed.